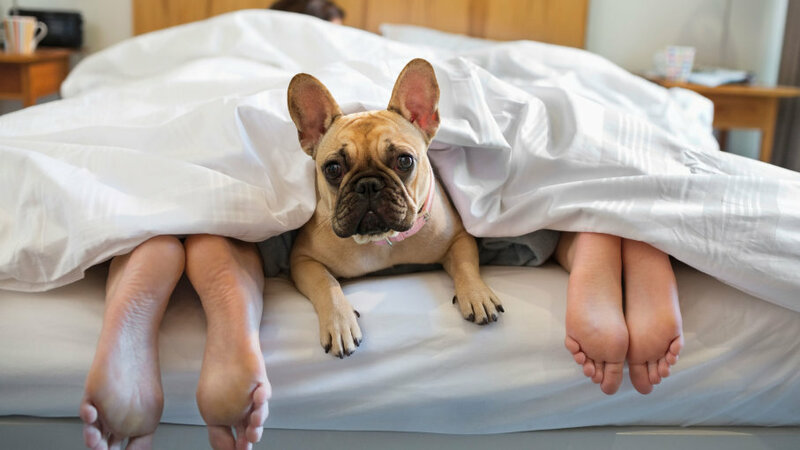 Bed Sweet Buys: Are Dogs Allowed in the Bedroom? Are Dogs Allowed in the Bedroom? hinder sleep if they are? We Americans are fond of our dogs and many consider their house dogs as part of the family. But what effect do they have on your sleep when you share your bedroom with them? A study was done on this very subject by the Mayo Clinic in 2015. In this study, TheEffect of Dogs on Human Sleep in the Home Sleep Environment, 40 healthy adults with normal sleep patterns and their dogs over 6 months old were evaluated for a 5 month period. An accelerometer was worn by each of the participants as well as their dog in order to monitor their sleeping habits. What they discovered was that with a single dog sharing the bedroom, the participants evaluated did show healthy sleep efficiency. The only factor altering that finding was if the dog was in the bed with them instead of on the floor. A dog sleeping under the blankets actually disrupted their sleep efficiency throughout the night. Possibly healthy sleep patterns with a dog by the bedside would stem from the comfort in believing that their dog is protecting them. So then yes, snuggle under the blankets and enjoy the comfort of your dog by your bedside if you want to - and sleep well. 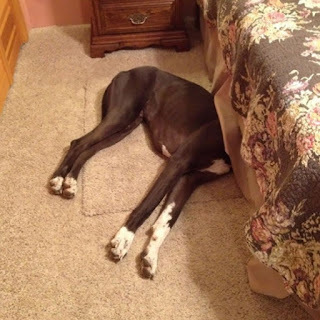 Just be sure to keep your dog on the floor and off your bed - if you want to sleep soundly all night.